The Iranian regime is continuing its unjust and unprecedented crime against Kurdish political Activists and ready to yet commit another crime! 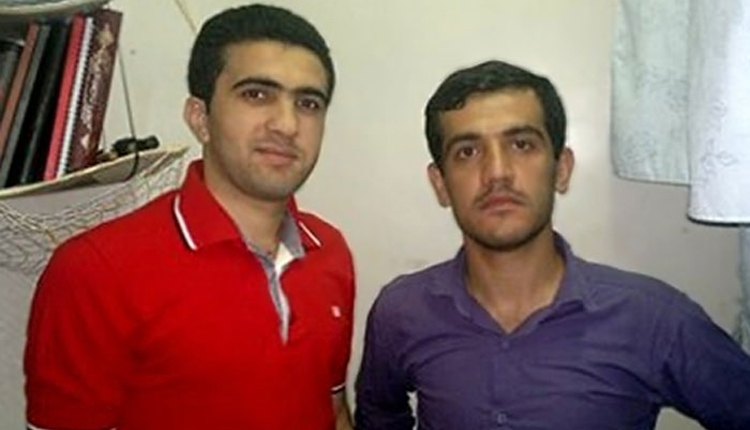 After recent execution of - Habibollah Golparipour and Reza Ismaeili - the regime now punished Zanyar Moradi and Loghman Moradi with death sentences issued in public hanging! This surge in executions shows that behind words and promises, the Iranian authorities continue to rely on state-sponsored killing, sparking fears that Zaniar Moradi and Loghman Moradi, two Kurdish minority prisoners on death row, could be next,” said Hassiba Hadj Sahraoui, Middle East and North Africa Deputy Director at Amnesty International, she said October 28, 2013. 1) drop all charges against Loghman and Zanyar Moradi. 2) immediately and unconditionally release Loghman and Zanyar Moradi. They have been imprisoned, tortured and continue to endure mistreatment. Zanyar Moradi is in urgent need of medical and operative treatment. From their arrests to the present day, their treatment at the hands of the Islamic Republic of Iran is illegal ! Under both international law and the Iranian constitution. The Save Loghman and Zanyar Moradi petition to Ahmed Shaheed, UN, UNHCHR, State Department, EU, Navi Pillay, Ban Ki-Moon, European Parliament was written by Rojikurd and is in the category Human Rights at GoPetition.